Pieper’s Inc. pump truck will quickly pump out your septic tank and haul away the waste to an approved treatment and processing facility. Pieper’s Inc. obeys all environmental laws and regulations to ensure that septic tank waste is responsibly processed and poses no environmental hazards. Pieper’s Inc. can repair or replace damaged septic tanks and drainage field pipes to get your septic system back in peak operating condition. We have full excavation capabilities to handle jobs of every size. Septic tanks and drain fields serve more than 25% of North American households. 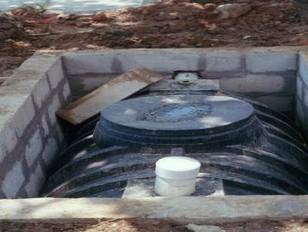 A properly working septic tank can provide years of trouble-free service. How often a septic tank needs to be pumped out depends upon the tank's volume and the amount of solid waste put into the tank. Some tanks require an annual cleanout, others can go years without attention.